The International Centre for Radio Astronomy Research (ICRAR) in Western Australia has recently announced a new scientific finding using innovative data processing and visualization techniques developed on AWS. Astronomers at ICRAR have been involved in the detection of radio emissions from hydrogen in a galaxy more than 5 billion light years away. This is almost twice the previous record for the most distant hydrogen emissions observed, and has important implications for understanding how galaxies have evolved over time. This image shows the full data cube constructed by the team at ICRAR. 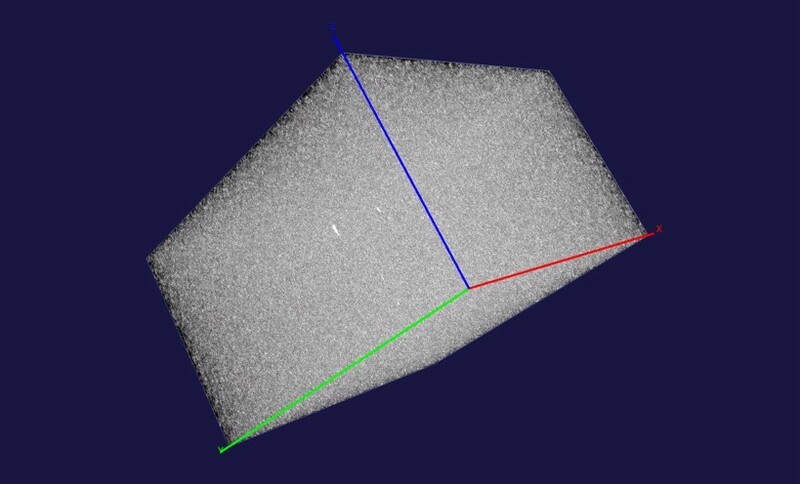 The cube provides a data visualization model that allows astronomers, like Dr. Attila Popping and his team at ICRAR, to search in either space or time through large images created from observations made with the VLA. Astronomers can interact with the data cube in real-time and stream it to their desktop. Having access to the full data set like this in an interactive fashion makes it possible to find new objects of interest that would otherwise not be seen or would be much more difficult to find. ICRAR estimates that the amount of network, compute, and storage capacity required to shift and crunch this data would have made this work infeasible. By using AWS, they were able to quickly and cheaply build their new pipelines, and then scale them as massive amounts of data arrived from their instruments. They used the Amazon Elastic Compute Cloud (Amazon EC2) Spot market, accessing AWS’s spare capacity at 50-90% less than the standard on-demand pricing, thereby reducing costs even further and leading the way for many researchers as they look to leverage AWS in their own fields of research. 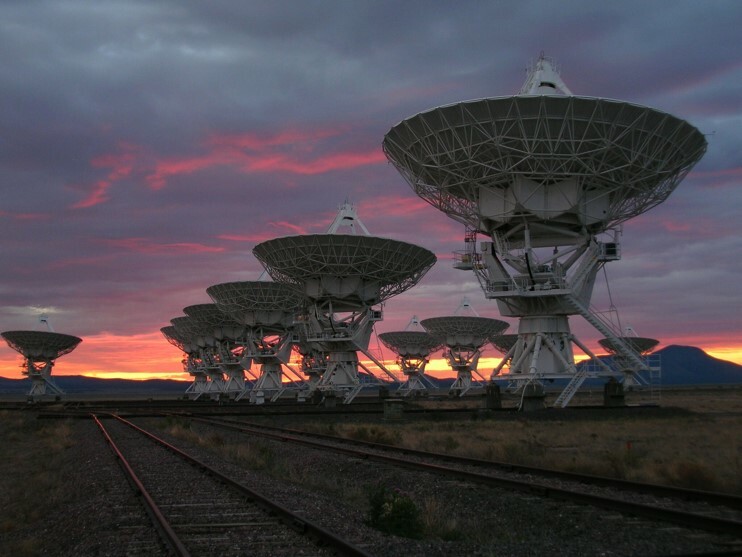 When super-science projects like the Square Kilometer Array (SKA) come online, they’ll be ready. Without the cloud to enable their experiments, they would still be investigating how to do the experiments, instead of actually conducting them. We are privileged to work with customers who are pushing the boundaries of science using AWS, and expanding our understanding of the universe at the same time. 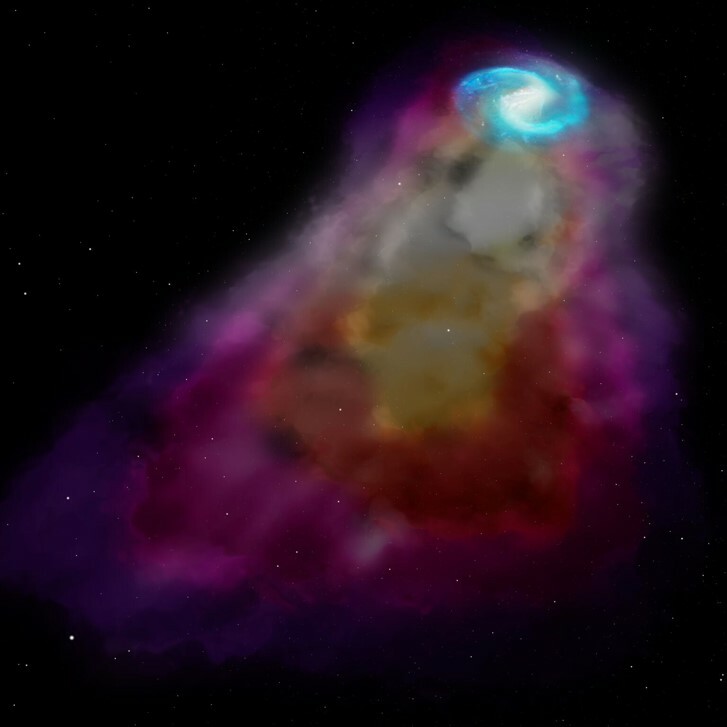 In Figure 3, you can see an artist’s impression of the newly discovered hydrogen emissions from a galaxy more than 5 billion light years away from Earth. To learn more about the work performed by the ICRAR team, please read their media release. To learn more about how customers are using AWS for Scientific Computing, please visit our Scientific Computing on AWS website. Images provided by and used with permission of the International Centre of Radio Astronomy Research.